It would appear that, quietly and without fuss, the NHS Homeopathic Hospital in Liverpool has closed. It is difficult to know precisely what has happened. But there now appears to be no trace of its existence. Previously, only a few years ago, the British Homeopathic Association were boasting of five NHS hospitals dedicated to homeopathy. It now only lists three. We know that Tunbridge Wells closed after West Kent PCT withdrew funding. So, what happened to Liverpool? Of the remaining three hospitals, it is now difficult to call them dedicated homeopathic hospitals. The Royal London Homeopathic Hospital changed its name to the Royal London Hospital for Integrated Medicine to reflect the fact that homeopathy was becoming less important as fewer referrals were occurring and other forms of quackery were taking over, such as acupuncture, aromatherapy, reiki and reflexology. This week we learned of the closure of the Glasgow NHS Homeopathic Pharmacy within the “Centre for Integrative Care” formerly known as the Glasgow Homeopathic Hospital. At Glasgow too, it would appear that the authorities are declining to fund homeopathy, and so to survive, they to are taking referrals for other ‘integrated’ therapies. 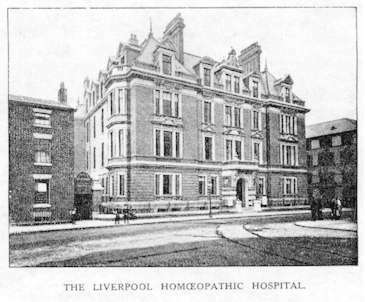 In recent years, it has always been a stretch to call the clinic in Liverpool a Homeopathic Hospital. It was once a proud and important institution that could trace its origins back into the first half of the Nineteenth Century. In reality, the hospital really closed in the 1970’s as it was merged as part of an NHS reorganisation. But vestigial remnants held on within the NHS and continued the name of the hospital by holding a clinic at the Old Swan Health Centre, a GP clinic. That clinic now makes no mention of homeopathic services. My guess is that the remaining champions of 19th Century superstitious therapies within Liverpool have now retired or moved on. (If you can confirm this I would be grateful). It is tempting to think of the NHS homeopathic services as being rather benign and maybe even useful places for people with chronic illnesses who can have a nice chat, a cup of tea and leave with a vial of harmless (and useless) sugar pills. If Liverpool was offering that, then it was also offering much more troubling services. The Old Swan Health Centre was also offering superstitious treatments for cancer. I reported how the clinic had been offering the mysticism of Rudolf Steiner in the form of injection of mistletoe extracts. (Archived NHS information here.) Steiner thought that mistletoe was like a cancer on trees, so using the homeopathic principle of ‘like-cures-like’ he thought mistletoe would be a cure for cancer. Just two years ago, Liverpool NHS PCT was still offering this insane treatment. The past year or two have been hard for the Old Swan as PCTs in the area debated withdrawing funding for referrals for homeopathic treatment. Despite the ‘grassroots’ Friends of North West Homeopathy putting up a fight, and kindly in association with Weleda, the $300m Steinerist company who makes mistletoe injections, it would appear that their efforts have been for nothing. So, we should welcome the eventual quiet fizzling out of this tiny corner of delusion with the NHS. Not only does homeopathic thinking directly threaten peoples’ lives, it undermines peoples’ understanding of science and medicine by offering a worldview that believes there are alternatives to evidence based medicine that closed minded doctors somehow ignore. That is a harmful worldview that leads to all sorts of pain. What Ever Happened to Liverpool Homeopathic Hospital? Thanks for all of your efforts, I appreciate it very much. clearly the homeopathic hospital became too popular and hence, was not effective.. Now with it dissolved to almost non existent levels, the memory of the buildings around will make this the most powerful hospital ever! Stand in awe you doubters! Jared at 7.22am – brilliant observation, the irony within your comment will possibly not dawn on the remaining members of this cult – but, we await the same rate of miraculous cures in Glasgow as unassuming passers-by are suddenly made whole! But isn’t this just diluting the amount of Homeopathic Hospitals in the UK. We don’t want to be doing this! Won’t it just make Homeopaths more potent? Take one brick from the ‘hospital’ and smash it bits. Take one speck of the dust and mix it with three 25kg bags of cement dust from B & Q. Mix one speck of this with, say, 25 large bags of caster sugar and then again set aside a speck of the mixture. Disolve it in distilled water and consume, every 4 hours. This may help with cynicism. Or not. I earnestly hope the doctors who worked there have “moved on” intellectually and professionally and developed a caring counselling service for the chronic sufferers who were helped by “homeopathy”. That is, by a constructive therapeutic relationship with a caring professional – not with a remedy consisting of no active ingredient.That idea’s dead in the…well, water! The Royal London Homeopathic Hospital has also folded. For sure, the folks who worked there have restyled it as if it is offering “Integrative Care”, but it is not possible to integrate Hanehmann’s system of meta-physical medicine with Conventional Orthodox Mainstream Medicine (COMM). What would be the point? Their punters would not be able to access the alternative systems they want! And there already is a Royal London Hospital which integrates the services it offers. UCLH is not passing itself off as the RLH surely? Slow progress, but has ever been thus since the Enlightenment. Unfortunately, the lay public are likely to be misled into believing that homeopathy is an effective treatment simply by the reputation of University College Hospital, ie if its available at University College, it must be good. “Although it has a wide range of uses, homeopathy is not an exclusive alternative, and is not the right treatment for every complaint”. I’d love to hear them describe exactly what treatments homeopathy CAN’T be used for. Maybe then they could show us the evidence that has led them to believe it isn’t useful for those illnesses compared to the evidence for illnesses that it CAN be used for. Surely it can’t just be the illnesses you get sent to prison for claiming you can cure that it isn’t “right” for? Homeopath Dr Peter Fisher has condemned other homeopaths for telling their customers that homeopathy can prevent malaria, but I don’t think he’s ever said how he knows that homeopathy can’t be used for malaria prophylaxis. An answer to that would be enlightening. I wonder what specialist advice they give about homeopathic “remedies”. Don’t touch them; don’t take with coffee or mint; store away from your TV; and ermmm… they are useless. “A new clinic is now providing homeopathic treatment to NHS patients in Liverpool. The Liverpool Medical Homeopathy Service (LMHS) operates from the Old Swan Health Centre in Old Swan and is staffed by medically trained homeopaths. Patients can gain NHS access to the service through a letter of referral from their GP. 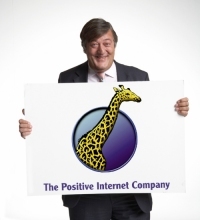 Liverpool PCT is commissioning the new service from the LMHS which is a Community Interest Company, a limited company created to provide a service for the benefit of the community and not purely for private advantage. The setting up of the clinic also highlights the new approach to commissioning NHS services being adopted as part of the government’s NHS reforms. Fully qualified doctors who have specialised in Homeopathic medicine. Homeopathy, which has been in existance for over 200 years, is a system of medicine that is based on treating the individual with highly diluted substances given in mainly tablet form, which triggers the body’s natural system of healing. Homeopathic remedies, which are mostly made from plants and minerals, are very safe and rarely cause side effects. The page isn’t archived by the Wayback Machine, but here’s a page linking to it, archived as at 23rd August 2010, listing four “specialist services”: Homeopathy; HMP Prison Service; Medicines Management; and Nutrition and Dietetics. here’s the page as it currently is, listing only the last three. This page still lists it, but the link is broken. This states that “LCH will cease to provide the Homeopathy service at end June 11 therefore no new patients referred to service”. It’s like one of those horror films where the zombie has been chopped and burned, but then came back. Now it’s been squashed under a steam-roller. Assume you had no personal experience with homeopathic medicine or mistletoe. Please do not attack what you don’t understand. Uh oh. Non sequitur alert. Does someone need to have had personal experience with car accidents before attacking poor car safety design? I don’t think I would be overstating things to say that, after ten years of writing about homeopathy, that I am more of an expert than practicing homeopaths. You cannot be an expert in homeopathy if you believe it works as you are holding a fundamentally incompetent belief. Expertise needs to be based on true knowledge not delusions and wishful thinking. After extensive reaseach it seems strange very strange that those involved in homeopathy don’t know how it really works. The military researched it enough. Tesla developed a frequency modulation system. Passing electricity through things. The trouble if there is any trouble is true homeopathy is starting with the element. Not a electronic version which there are various machines. There is something not right. any sine wave can be broadcast over distance. However its not clear that sine wave can be changed. With lesser beings saying there is no substance present they have no understanding of the governments own secrecy behind it all. The frequencies generated by technology and the way thats changing out genes. And it contains no chemical element persay. That’s dismist with the same contempt. It has killed bees and butterflies. Whether homeopathy can protect us from the idiots of this world. Which gobbledegook generator did you use for that? It’s faulty.